Prunes and dates are healthy fruits. They are both categorized under “drupe.” However, they differ considerably in their origin and the way to be eaten. Prunes are the fruits of the species Prunus domestica. The cultivation of prunes originated in Asia. Prunes may be consumed fresh or in a dried form. 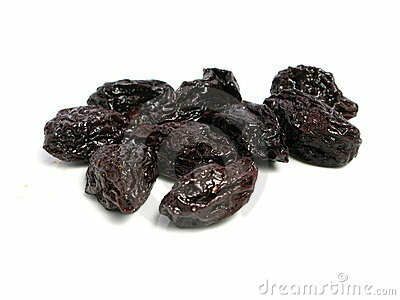 The dried form of prunes is called “dried prunes.” In common usage, dried plums are also called prunes. Drying is a form of preservation which increases the life of the fruit. Prunes are sticky and have a crusty texture. Prunes taste sweet, and their meat is chewy. The pit or stone of prunes can be removed easily. The fresh prunes are oval and plump having a purple color while the dried ones are wrinkled and somewhat deformed. Prunes are used in the preparation of various sweet and savory dishes. They can also be used as stuffing, in cakes, and puddings. Prunes are a very nutritious fruit having high levels of minerals, antioxidants, and fiber. This makes prunes a good laxative. They prevent constipation and are good for babies also. “Dried plum” is the latest name for prunes. There are a few cultivars used today. Dates are the fruit of the Date Palm. The botanical name of the date palm is Phoenix dactylifera. Dates form staple fruits of the people of the Middle East. It is a sweet, chewy, and sticky fruit. Date Palms are among the oldest, cultivated trees. The seed has the highest viability duration. The fruit may be eaten fresh or dried. It is also used in the preparation of desserts. A date tree is dioecious. It means that the male and female parts are grown on separate plants. Fresh varieties of the plants are propagated through cuttings. The viability rate of the seeds is very low. There are numerous numbers of cultivars used in the modern world. Dates also have a good nutritional value and fiber content. They have high levels of minerals and vitamins. They prevent many serious diseases such as abdominal cancer, anemia, night blindness, and many others. Dates also act to alleviate constipation. They have high levels of sugars; namely, glucose, sucrose, and fructose and carbohydrate content. A single date is said to provide enough nutrition; hence, it is also called an energy-boosting fruit. 1.Prunes are dried plums while dates are fruits of the Date Palm. 2.The genus of plums is Prunus while the genus of dates is Phoenix. 3.A Prune tree is monoecious while a Date Palm is dioecious. 4.Prunes were originated in Asia while dates originated in the Middle East. 5.Prunes are low in calories while dates are high in calories. 6.Many varieties of dates are grown as compared to prunes. Nimisha Kaushik. "Difference Between Prunes and Dates." DifferenceBetween.net. December 9, 2011 < http://www.differencebetween.net/object/comparisons-of-food-items/vegetables-fruits/difference-between-prunes-and-dates/ >.